It’s a new year, and you have vowed to get in shape and improve your health. Although you might have made this resolution before only to fall back into old habits before the end of January, you mean it this time. The good news is that having a pet gives you even more motivation to achieve better health. 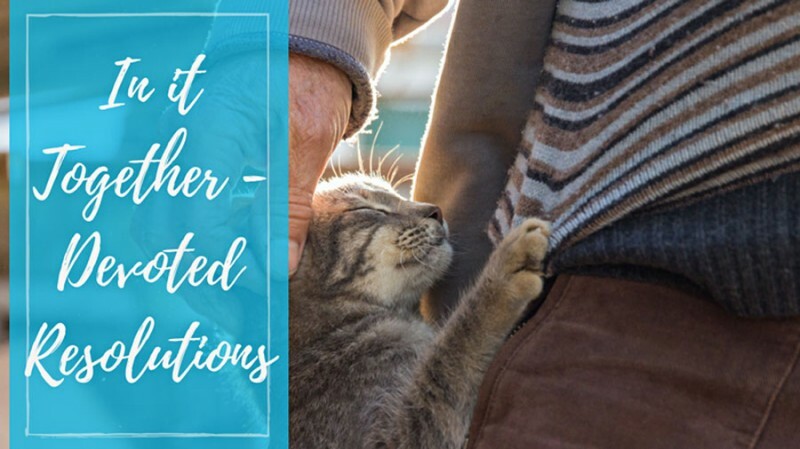 Not only does the love of your furry companion give you the incentive to take better care of yourself, but it encourages you to improve your pet’s health as well. Keep your pet at a healthy weight to avoid the risk of diabetes, heart disease, joint pain, and other common health problems. If your pet is already overweight or obese, speak to us at Critter Care Animal Clinic before switching her diet. We are happy to recommend a low-calorie food that still offers all the nutrients your pet needs. Bring your adult pet in once a year and your dog or cat over age seven in twice a year for a preventive care exam. Pets age significantly faster than we do, which means your seven-year-old dog or cat is already middle-aged. A lot can happen with your pet’s health in a year that might otherwise go unnoticed without the exam. It’s also a chance to ask questions about behavior, diet, parasite protection, and any other concerns that you might have. Spay or neuter all pets over six months old. It reduces pet overpopulation, decreases the risk of ovarian or testicular cancer, curbs aggressive behavior, and offers several other health benefits. Don’t forget about the importance of good oral healthcare for pets. Gum disease can lead to loss of bone and teeth that makes it difficult for your dog or cat to eat because she can’t chew her food properly. We recommend daily brushing at home and proactive dental care. At your pet’s examination, we may suggest a professional veterinary dental procedure. Microchip your pet to increase the chances of a happy reunion if she gets lost. Cats should stay indoors in the winter, but that doesn’t mean they should just sleep away the day. Be sure to rotate your cat’s toys regularly and engage in play with her to keep her mind sharp and body healthy. Food mazes or food puzzles are perfect to help enrich your cat’s environment, and keep obesity at bay. Dogs who don’t get regular exercise in the winter can become hyperactive and destructive. Unless it’s dangerously cold outside, bundle up and go for at least a short walk every day. You may need to put a sweater on your dog for warmth or booties to protect her paws from chemicals and the discomfort of walking on cold pavement. While you might not appreciate having to leave your warm house, it’s great exercise for both of you and it helps to strengthen your bond as well. Happy New Year from all of us at Critter Care Animal Clinic!